Home > Healthy Living > From Pigs to Peacocks, What’s Up With Those ‘Emotional-Support Animals’? It’s easy to roll your eyes at the latest news nugget about someone trying to take an “emotional support animal” onto a plane, even though it’s too big or out of control. There’s the large emotional support peacock that was denied a seat aboard a United Airlines flight in January, for example. Or the young girl who was bitten by an emotional support dog while boarding a Southwest Airlines flight in February. But concern is mounting over people’s asserted need for emotional support animals, as more seek accommodations for their pets and livestock in places not designed for bird or beast, said Phyllis Erdman, chair of the American Psychological Association’s section on human-animal interaction. There’s scant scientific evidence that these animals provide legitimate benefit, said Erdman, associate dean for academic affairs at Washington State University’s College of Education, in Pullman. “There’s very little research to suggest that the presence of this animal really helps this person,” she said. Still, there’s anecdotal evidence, experts say, that some of the animals provide comfort to some people. 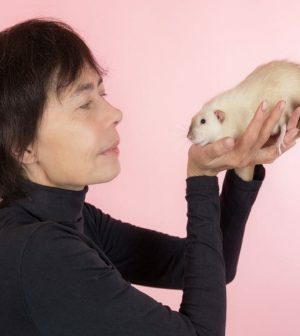 It’s incredibly easy to have any critter classified as an emotional support animal, said Erdman, who led a symposium on the topic last week at the American Psychological Association’s annual meeting, in San Francisco. “The only thing they need is a letter from a health professional — who could be a doctor, a counselor, a psychologist — that says this person requires this animal” for a legitimate psychological condition, she explained. The animals don’t have to be certified or trained, and there are no federal restrictions on the species, size or weight of an animal in an emotional support role, she added. Emotional support animals are allowed under federal housing law as a reasonable accommodation for a disabled person, she noted. The animals are viewed similarly to other aids — such as a wheelchair — that provide the person an equal opportunity to live independently. “For individuals diagnosed with depression, anxiety and trauma-related disorders specifically, emotional support animals have been described consistently as providing a readily available source of comfort when the owner experiences mood instability or disabling stress,” she said. “Assess your true motive for requesting a letter from a medical professional to grant emotional support animal status to your pet,” she said.